The point is to be able to run XML2 regularly, but run the All X-Men Edition on its own. To play, all you have to do is unpack the package and drag and drop all the files to Program Files/Activision/X-Men Legends 2/ (the files are setup exactly as XML2 sets it up, so you could even unpack the files directly in the XML2 folders). To launch the new game, double-click on XMenBundle.exe located in Program Files/Activision/X-Men Legends 2/. This package mod and the files in it do not replace anything in the regular game, the package includes its own .exe (XMenBundle.exe) that runs its own herostats (heroreal.engb), its own team bonus (team_bonux.engb), and Danger Room file (dangerroox.engb). The new exe also creates its own Save game folder, so that this editions Saves don't interfere with the regular game's save files, new save files located in My Documents/Activision/X-Men Legends X/Save. The new .exe is also a cracked .exe so you do not need the disc to run the game. The only thing that will be replaced is the character heads package, but don't worry it has every character in this edition and every XML2 mod released so far. Also replaced will be the main dangeroom icons, the ones included in this pack add icons for new mods and some npc that are not in the original files. So don't worry, but still back up anything important, I'm not responsible if you lose or overwrite something. But these files are needed for the new edition to run correctly, so please just replace the files and backup the originals. To have the new characters menu call outs and voices download the updated x_voice located here: http://marvelmods.com/forum/index.php?topic=2924.0, without this file characters like Emma Frost and Psylocke will not have any voice. New characters are unlocked right from the start through script. You must have everything in the pack in your game for the whole thing to work properly, don't forget anything. Just add everything. But don't forget to backup anything that you don't want replaced. - The package includes all of Cannonball's files including his herostat entry but he is not in the herostat, so he is not one of the playables. - Includes a load screen for all the new characters. 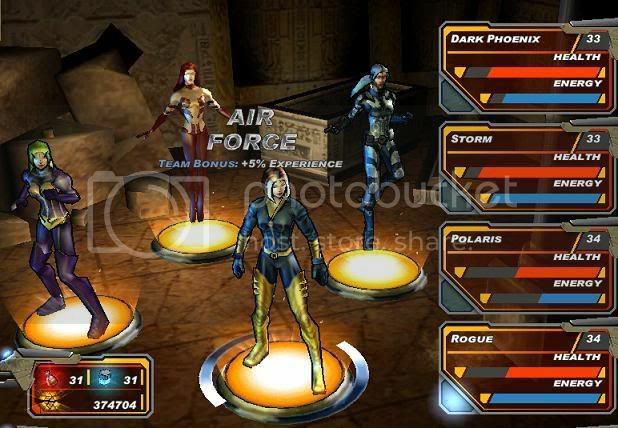 - Also adds to the characters already in the game (for example Cyclops, Storm, Jean Grey, etc.) their skins from XML1 and MUA including their hud heads and 3D heads, plus Cyclops Gladiator skin and Jean's Sun Goddess skin from XML1, and a few custom skins. 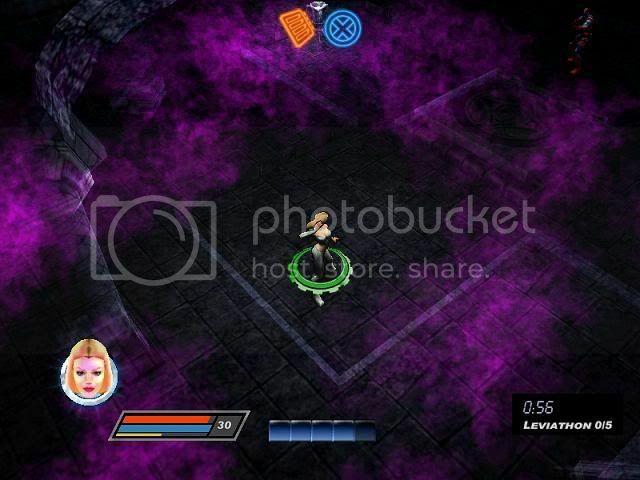 - New Danger Room maps from XML1 (Mansion, Danger Room, Snow Courtyard and Astral Courtyard) and Danger Room missions for some of the new characters. 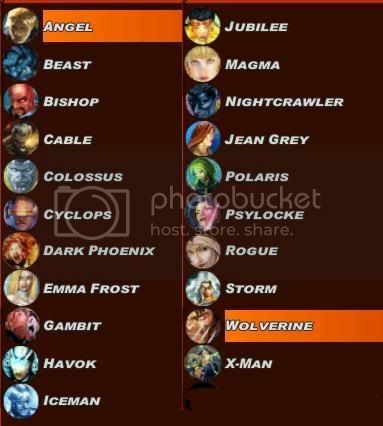 PSP Character Effects - For some reason when using Cable, X-Man and/or Dark Phoenix together, they cause other characters or even themselves to loose some of their effects, the powers still do damage but the effects are gone. Why this happens? i don't know, i haven't found a reason or a fix, so just use them separately. Losing second skeleton or powerstyle - I only had this problem in one area (the level were you go and fight Sinister's Dark X-Men). 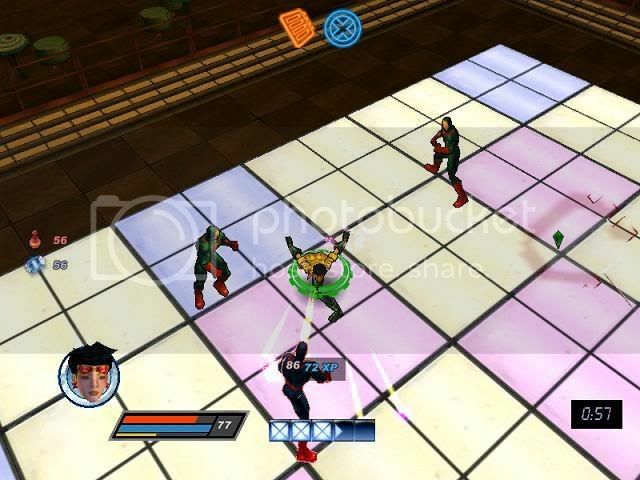 While using Beast and Jubilee (who both have new fightstyles) in that area, it caused the fourth person to not be able to access their powerstyle, they were stuck with only their fightstyle. That is the only place were i ran into that problem, so when you get there don't use Beast and Jubilee together. (this is a memory issue with the game, nothing really having to do with the two characters, so feel free to use them together in other areas, i had no problems playing the game with both of them together). Crashing - I did have one crash while using this edition, after fighting Garokk and going back to the base, how i stopped this is by just using the original characters that came with the game to fight Garokk and go back to the base. I've gotten this error before when using mods in that fight with Garokk, so i don't know if its just an issue with my game or if its just an issue in general with that area. That was the only crash i got. The package uses the single skeleton version of Emma Frost, Havok and Polaris, if you are currently using the two skeleton version those files will be replaced by these. - Danger Room courses fix and update. Now the mission to protect Forge, actually spawns Forge instead of Havok. Also adds new Challenges for Angel, Cable, Havok, Polaris and X-Man. Which means that all the playable characters, except for Dark Phoenix, have a Danger Room challenge. 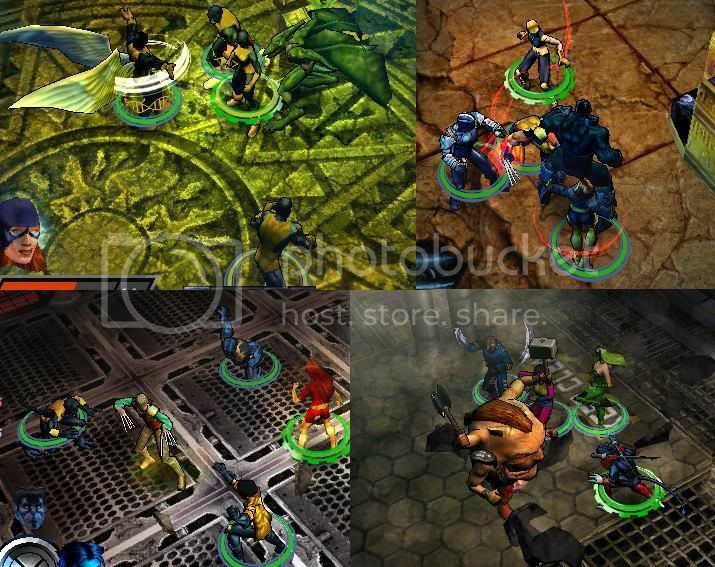 Classic Gambit skin, Psylocke Classic and AOA skins, and Jubilee AOA skin by ? VERY cool. I'll probably switch out Dark Phoenix for Cannonball, but awesome nonetheless. Sorry to bug you once more, but who is coming up next on the list after this? Is this for the PS2? 'Cause for christmas, im getting some stuff so i can actualy download some mods. I really like your little intro. Perhaps the Raven Knights team is better suited to those who don't show up elsewhere. All of the people on that roster show up in at least two other teams; perhaps some of the characters who have only fit into one team (Jubilee, Magma) would be better choices? On a related note, surely Jean Grey should also be in Family Affair? Very, very impressed with this, though. Can't wait to play more with it. thanks for the feedback and the nice comments . I wanted an all psychic team bonus so i chose to use Raven Knights for that since the name is not too descriptive and could fit it. I didn't include Jean to the Family Affair team bonus since i thought it would be cooler to just have it be activated by all the Summers men (Cable, Cyclops, Havok and X-Man). But i see your point, in any future update I'll add Jean to the bonus, and see how i can change Raven Knights. Hey there, new member, and this is probably a stupid question with a simple reply... But is anyone else experiencing problems with the download link? For the life of me I can't get it to load. mediafire seems to be down at the moment, keep checking im sure it will be working eventually. if its still down by tommorow i'll reupload to another site. I have to say this mod totally rocks. It made me actually go up into the attic, dig out my install disks and go through the hell of installing the game on a windows x64 Vista system. Fun times. Been playing with Havok, Polaris, Magma, and Psylocke and absolutely love it!!! If I can figure it out i'm going to try to get Sage, Marvel Girl, and Cannonball into it too. Just cant figure out who to drop. Anyways, the point is this mod is absolutely awesome and stuff!!!! After finding out that I cannot use mods for multiple playthoughs, you just gave me another reason to jump into the PC version of this game. What about the section of the Brotherhood base that won't open without a brotherhood member? Is it still locked?